Exceptional beer, great food trucks, and awesome live music. Blue Earl’s taproom “The Juke” provides a relaxed atmosphere with a view of the brewhouse. 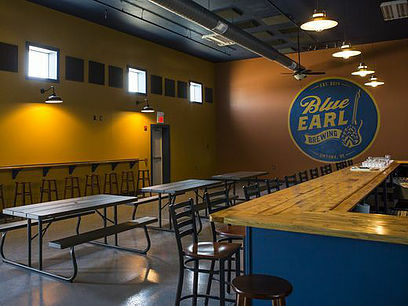 You’ll find beers on tap that are only available at Blue Earl. Sit back and enjoy the areas finest craft beer, while enjoying delicious eats provided by one of the many local food trucks. The Juke features superb live entertainment every weekend. All minors must be accompanied by a parent or legal guardian. Brew for your Soul!